alternative medicine for most dogs and cats. 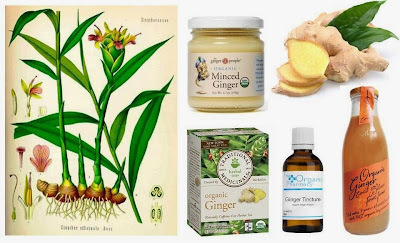 Ginger is a spice that is also cherished for its medicinal qualities. Treatment to relieve pain to the skin. Is pregnant use ginger with extreme caution, only use in minimal amounts if at all. High doses of ginger can worsen some heart conditions - consult with your veterinarian before adding ginger to the diet. Is on a medication for high blood pressure don’t use ginger unless you consult your veterinarian. Do you need support and guidance tailored to suit your needs? Individual support is available through my client services. 🚶 In-person Sessions only available in Ontario, Canada. ✔︎ Custom designed whole food diets, raw and gently cooked. ✔︎ Recommendations for commercial whole food diets. Affiliations to Companies - none. I don’t sell food or supplements. I am NOT aligned with any companies. I prefer to select best solutions for my individual clients’ situation. karen@ottawavalleydogwhisperer.ca to discuss your requirements and quote for services. Article and graphics by Karen Rosenfeld. Safe use of items and protocols in the article above, is your sole responsibility. Foods, herbs and alternative medicines have health issue, condition and conventional drug interactions. Safe use of all substances and protocol are your responsibility. Before you use any substance or protocol do your research. Check for cautions, contradictions, interactions and side effects. Do not use substances or protocols not suitable to your animal's individual circumstances. If your animal has an underlying condition substances and protocols may conflict. Food, herbs, alternative medicines are NOT ‘holistic’ they are a substance and MAY, or may NOT be ‘NATURAL’. If you use a ‘natural’ substance (ie. an herb) you are using a natural substance, not a holistic substance. Holistic is not defined by use of one or several substances. Holistic is an approach. "relating to the whole of something or to the total system instead of just to its parts"
"Holistic medicine attempts to treat the whole person, including mind and body, not just the injury or disease." Holistic is a way of approaching life, and within that health, and well-being. 3.0 Expectation a natural substance remedies a health or behavioral situation. A natural substance used to treat symptoms. But, if factors causing the underlying issue remain you do not have a remedy. Remedy requires a comprehensive approach. It is necessary to identify root cause. Remove items that trigger, cause or otherwise contribute to issues. Holistic approach includes design, implementation to treat, remedy and maintain long-term health. I review all comments and publish those deemed appropriate for this site. I answer questions deemed appropriate when I have time to do so. Wishing your dog and cat the best of health! You Can Make A Difference, HELP DOGS IN NEED, its FREE! CARE 2 - Click to donate, its free! ANIMAL RESCUE SITE - click to donate, its free!